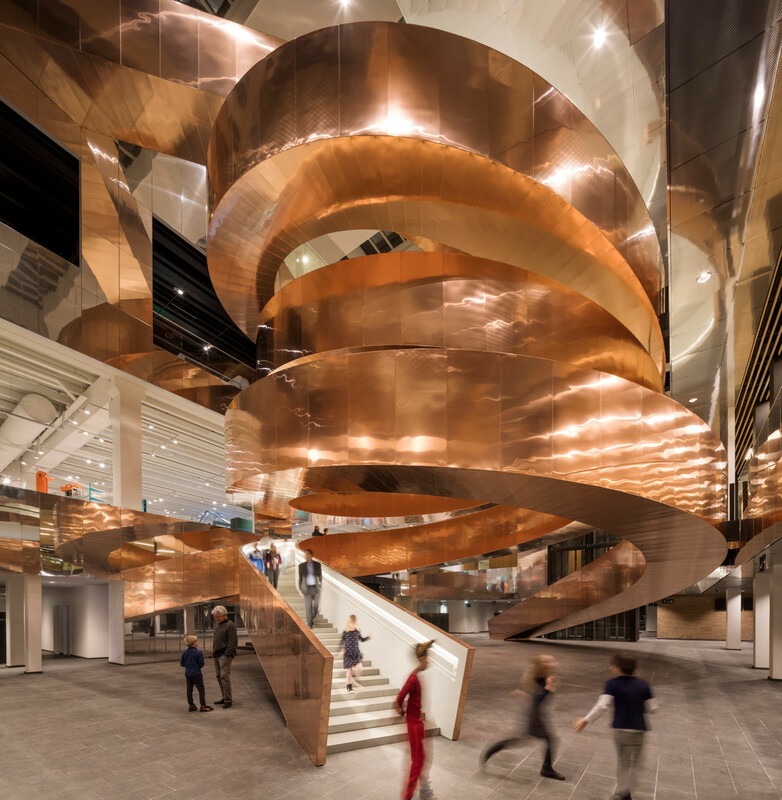 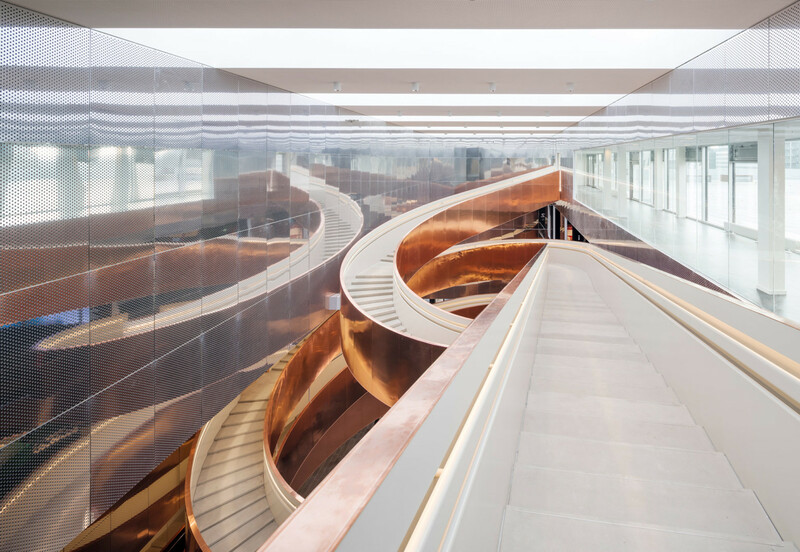 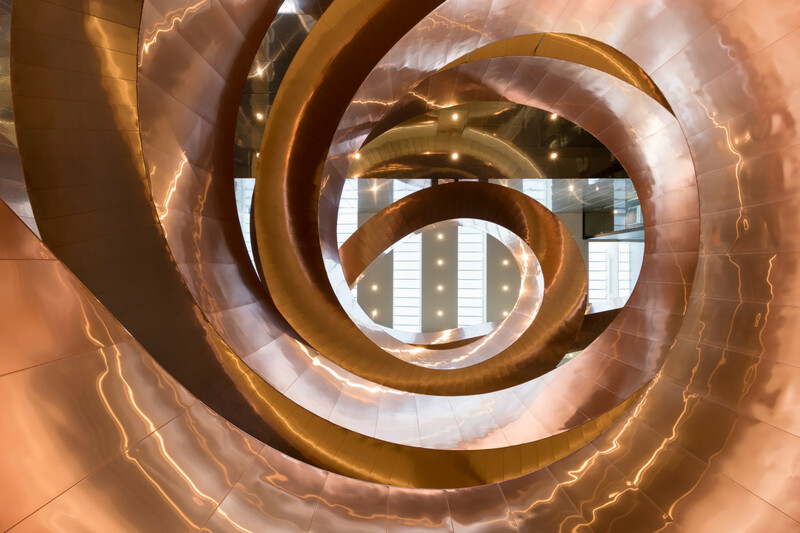 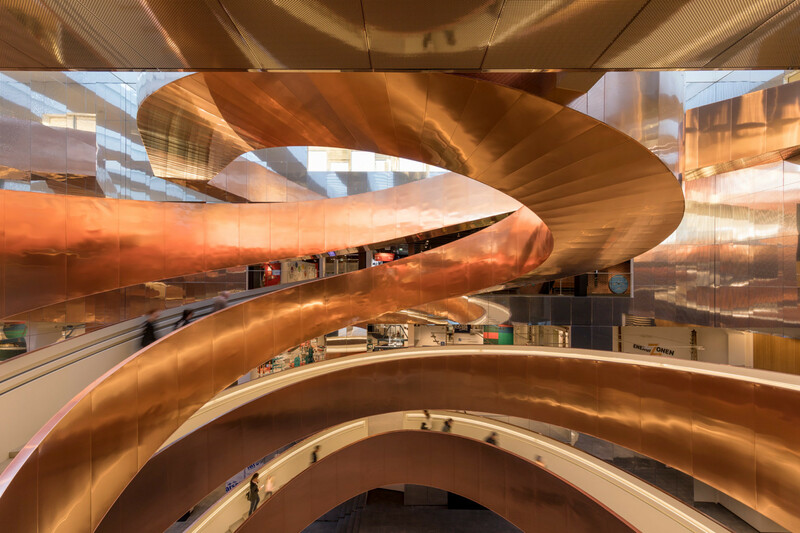 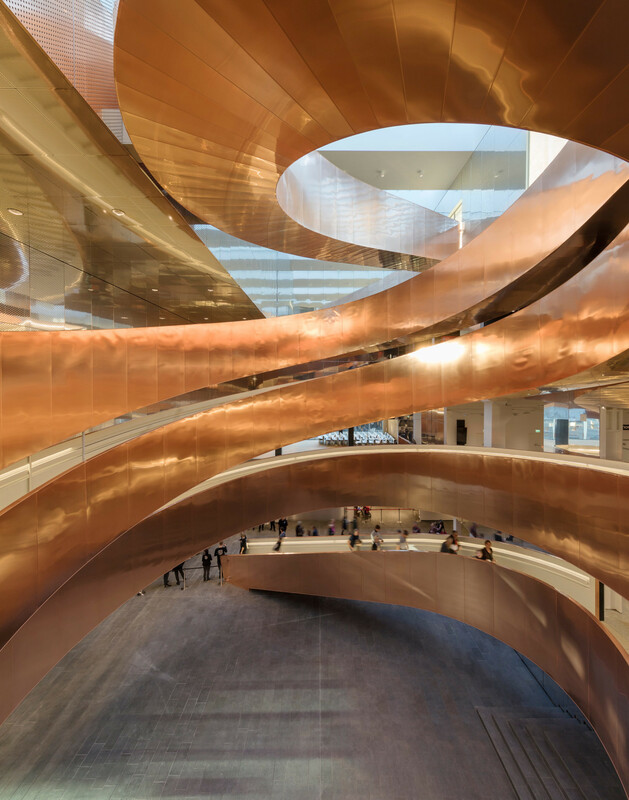 Copenhagen center of sciences and technologies, named the Experimentarium, has recently been given a gigantic copper stair which climbs over the four wide flours in an iron tornado. 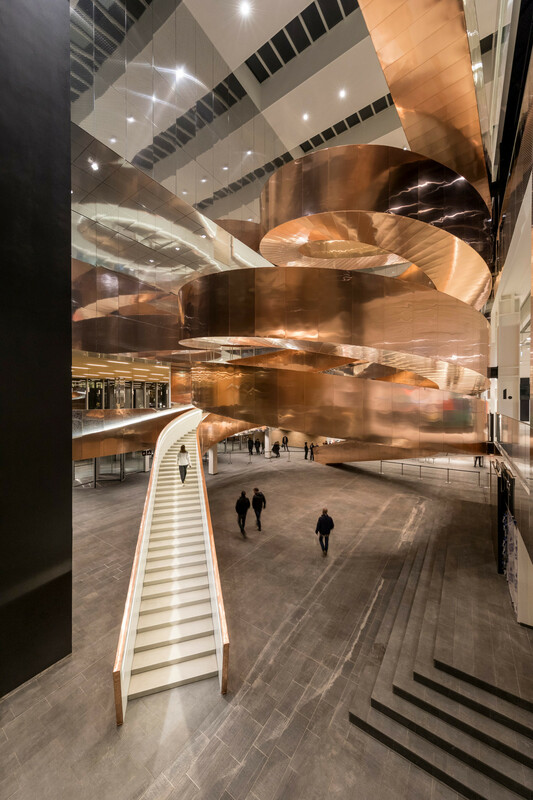 Conceived by the architecture studio CEBRA, based in Denmark, it evoques either the evolution of humanity, the elevation toward better technology and the link between our users needs and the reach of our times. 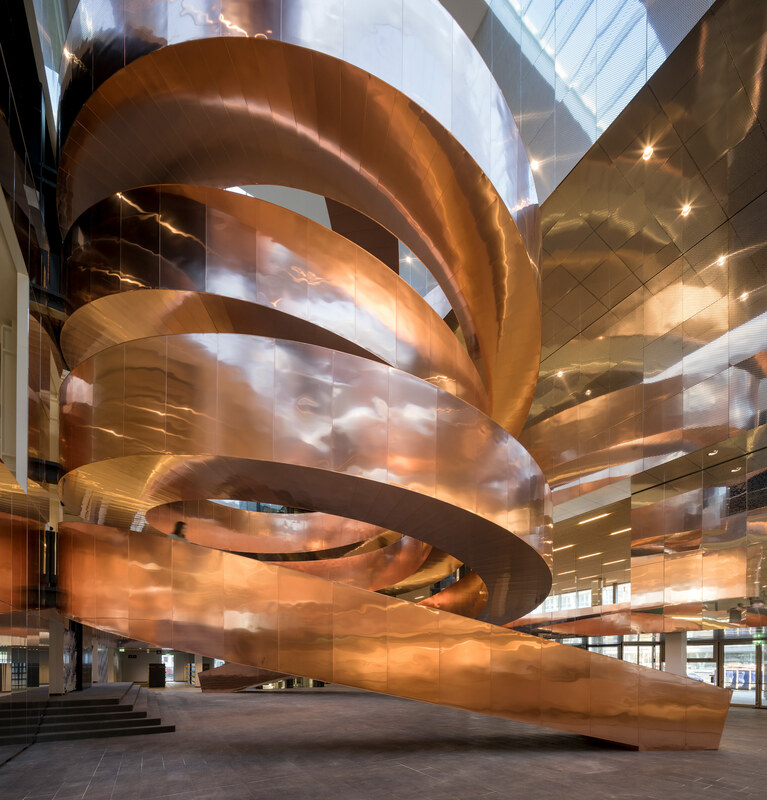 300 feets long, this glittering colosse is made of more than twenty thousand pounds of copper and nearly 320 000 pounds of steel. 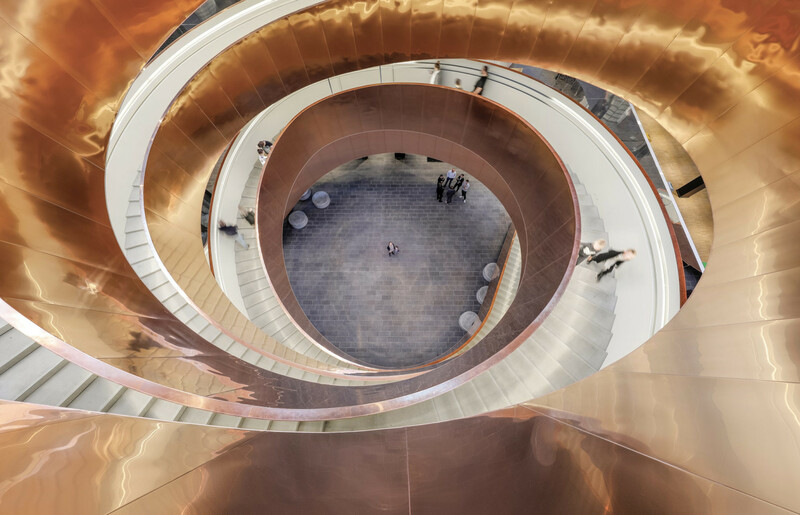 It is then quite impressive to watch its helix curving perfectly as an light stair, which seems to float between the floors of the building.